Laramie High School is adding new computers this summer that will offer new technology to LHS students. The new computers will have 16GB of memory, an SSD boot drive, backup storage, video editing, movie clips and a discreet video with amplitude to drive the duel monitors. The computers will most likely be HP computers. Currently, the computers at the school are not keeping up with the students’ needs and many students are not able to complete their work. 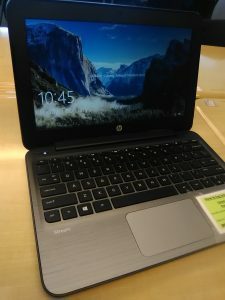 LHS technology teacher Billie Vanlandingham losses up to 15 minutes of the 55 minute class period because of the school’s current computers. She is hoping that the new technology will prevent this from happening so her students can spend more time on their work. “At least daily I have one to two computers that I have to take five to 15 minutes of class to get rebutted up or load,” Vanlandingham said. With all the new technology, Vanlandingham is anticipating that a lot more students will want to take computer science classes in the future because the new computers will be able to offer more. A new computer science course will be added to the school and it will provides students the ability to earn a science credit that will help with graduation requirements. However, there might be math and science prerequisites that students have to meet in order to take the class. Since there are so many new features being added with the new computers, there could be a lot of new classes added but currently the school doesn’t have any plans to add more classes but there is always room to expand in the future. Vanlandingham says she gets a lot of request for video editing and she might add it to her content to meet her students’ requests. With the current situation right now, students are struggling to get the Photoshop to work so they are looking forward to just using the program like normal. Vanlandingham hopes that a new computer lab will help solve some of these problems. “The students will look most forward to using the Photoshop without it locking up,” Vanlandingham said. The computers that are currently being used are going to be re-purposed somewhere else in the school so overall there will be more computers for students to use.